Pam Hegedus (Bottlecindy) Susquehanna Pa.
To: Pam Hegedus (Bottlecindy) Susquehanna Pa. I have dug old bottles for over 40 years and now with the children all grown and plenty of "me" time, I can dig almost anytime and during the good months I make every effort possible to get out and dig at least once a week. I love the thrill of uncovering old glass either in a dump or privy or just along the woods or under the porch of a deserted house. 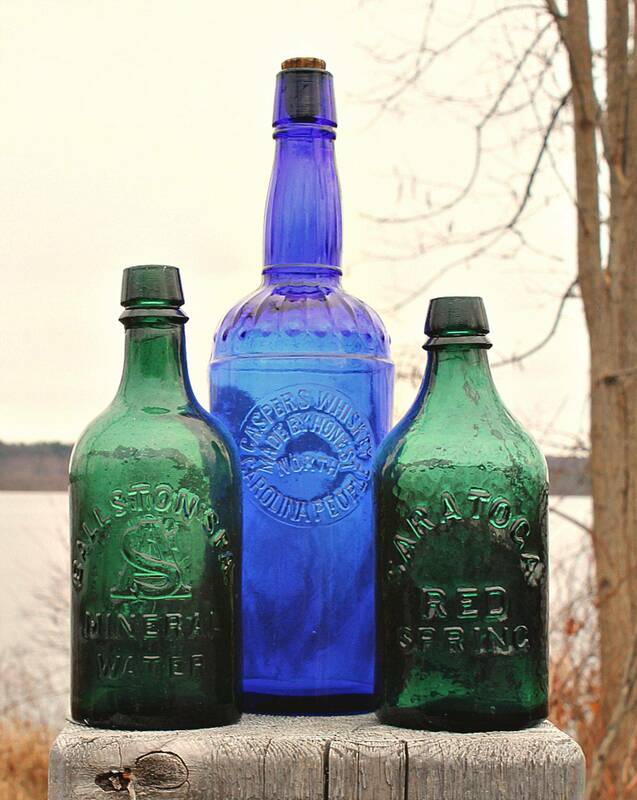 I collect Warner Safe bottles, colored and embosed common flasks, some historicals, glass figural candy containers, embossed dosage cups, local and amber embossed milk bottles. I live in Susquehanna County Pa., where it is still rural with many old farms and houses to check out and dig. Come join me digging when you come through the area. I always enjoy meeting and digging with others. Reply Pam Hegedus (Bottlecindy) Susquehanna Pa.
Hello. Rick. Hope all is well. I have been out digging a lot and this past Saturday was a super dig with my digging buddies, Greg and Bill up from NY. We did quite well.